Their steaks kept us asking for more and their burgers kept us full till our throat. And lest we get bored of it all, Kaffiesta introduced new somethings to their menu to keep us carving for more. Steaks for every visit can get tad bit too boring, honestly. So, to save our palette, Kaffiesta has introduced a good number of appetising meal bowls. Not the regular A-la-Kiev and stroganoff, we loved their Goan prawn curry that comes with smooth-textured coconut gravy and herb infused rice topped with a sunny-side up. But if meat is on the mind then give their chilli beef bowl a try. Shredded beef sautéed with bell peppers in sweet-chilli sauce, this one is finger-lickin’ good. Their new Monsta Burgers are humongous and comes loaded with caramelised onions and double layers of patty and egg. You really need a raging appetite to tackle this because this mighty burger comes with a side of crispy French fries and dips. But if steak is the sort that keeps you sorted then their new chicken and keema steak will definitely make you happy. Chicken breasts stuffed with cheese and chicken mince and served with mash and veggies, this is comfort food. Good food when priced well makes it a different kind of healthy altogether. 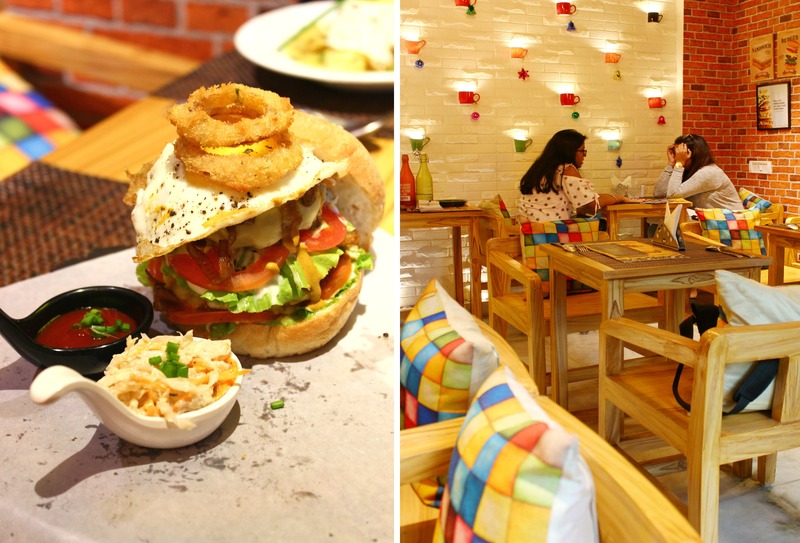 Kaffiesta’s new menu is priced between INR 300 – INR 380, and seems okay on our pockets, even if you’re on month-end blues.